Be inspired by these celebrities who value getting a good education. It’s not all glitz and glamor. Entering show business means having to sacrifice certain things. This may include a celebrity’s chance at finishing his/her education. Good thing that it’s never too late when it comes to learning. These celebrities are good examples of people who acknowledge the importance of attaining formal education by returning to school and striving to finish a degree. Kim became the first Big Winner of Pinoy Big Brother’s teen edition in 2006. Consequently, she did project after project, including TV series, movies, and endorsements. In 2015, Kim decided to finish college by enrolling in the University of the Philippines’ Open University. The now 26-year-old Cebuana, who has business franchises of Potato Corner and Julie’s Bakeshop, took up business management. "the eyes are useless when the mind is blind" ???? 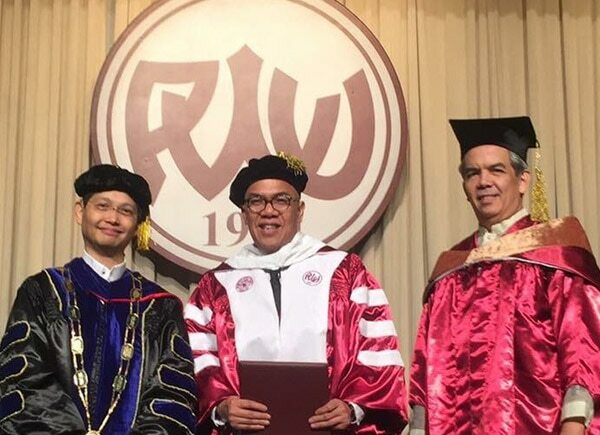 Although at the peak of his career, 24-year-old Enrique Gil did not forget the value of finishing his education, which he mentioned to be his dream. He decided to continue his studies by enrolling in Southville International School affiliated with Foreign Universities (SISFU) last year, taking up business administration. "Trying a new hairstyle with Grips Wax ?? ?#GripsEasyStyleEasyWash" ???????? To be able to go to school is a great privilege which should not be taken for granted! ?? So excited to finally start this term with @southvilleuni, thank you for supporting @enriquegil17 and I. Despite being the big star that she is, 21-year-old Kathryn Bernardo is still very determined to finish school. As she started at a young age in show business, there was a time where her studies needed to take a backseat which she admitted to have regretted in an interview with PUSH.com.ph in 2013. Nonetheless, Kathryn, who went back to school eventually, was able to finish high school and is now enrolled in the marketing management course of Enderun Colleges. It has always been Julia’s dream to own a restaurant and become a chef. In 2015, before she began taping for the now defunct afternoon drama Doble Kara, she graduated from the short culinary course she took at the Center for Culinary Arts Manila. In an interview with PUSH.com.ph during that same year, Julia said that after her show, she plans to take a baking course next. She also wants to be able to finish an academic degree. “Sana hopefully, mabigyan ng chance na gusto ko ‘yung talagang academic course na rin talaga like maski mga two years or sana swertehin, four-year course,” she said. Having moved from the United States to the Philippines, Inigo took a two-year break from school as he focused on honing a career in local show business. However, in a PUSH.com.ph report last year, Inigo excitedly revealed that he is finally returning to school as he takes up a business course at Enderun Colleges. Thank you G sa Lahat ng Blessings! ?????? • Maraming Salamat sa mga LOVETIES! ??? • @iamnhikzycalma Sobra sobra ang hang at bilib ko sayo! i got your back always. Thanks for letting me perform with you! ???? A former dentistry student at Centro Escolar University, singer Erik Santos had to skip school after he won Star in A Million. Nonetheless, Erik also returned to his Alma Mater and took up BS Psychology. Love the weather here in Hong Kong. ???? In 2014, actor Dingdong Dantes, who is now 36 years old, graduated with a degree in Bachelor of Science in Business Administration, major in Marketing at the West Negros University. He was able to finish his studies while juggling his acting career and businesses. ‘The King of Talk’ surpassed many challenges before he was able to attain a Doctor of Philosophy in Social Development degree last year. While he was not able to finish his business management course at the Ateneo de Manila University as he needed work to support his family, Boy later returned to school and finished a Bachelor of Arts degree in 2009 and eventually took his Master of Arts in 2011 – all from Philippine Women’s University. Actress Judy Ann Santos was an honor student of her cooking classes at the Center for Asian Culinary Studies. Aside from being in show business, Judy Ann is also a budding chef who has documented her recipes in the book, Judy Ann’s Kitchen, which was included in ‘Gourmand’s Best in the World’ list in 2016. Oh my!!! Tumalon ang puso ko!! Never really expected this.. But, oh wow! I am beyond grateful!! To the whole team who helped in making my dreams come true.. Cheers to us!!! @anvilpublishing @raymundisaac @promaryjane @ricaperalejo.ph @tippyf @diongsky @ralph.mercado @pamquinones @juansarte @jingmonis @deniseochoa maraming maraming maraming salamat po!! @ryan_agoncillo thank you for always believing in my passion.. I love you!